I was raised by a father who is a skilled butcher and a mother who is a skilled cook. They both marshaled their talents to nurture a large family, all of whom participated in the raising, killing, cooking and eating of all kinds of animal and vegetable life. On the farm, I raised pigs, cows and chickens from their births on, growing fond of them in the process. I cared for and even loved these animals, then participated in the horrors of their deaths at slaughter and subsequently savored their flavor at the table. Experiencing the whole process, I learned where food comes from, but more profoundly, I understood that getting it to the table involved a continuum of tenderness and caring through pain and death, to tenderness and caring again during shared meals. How was my mind able to hold this? When it came to food, I realized that my mind was making incongruous leaps of conflicted reason while intertwined with my emotionally guided conscience. 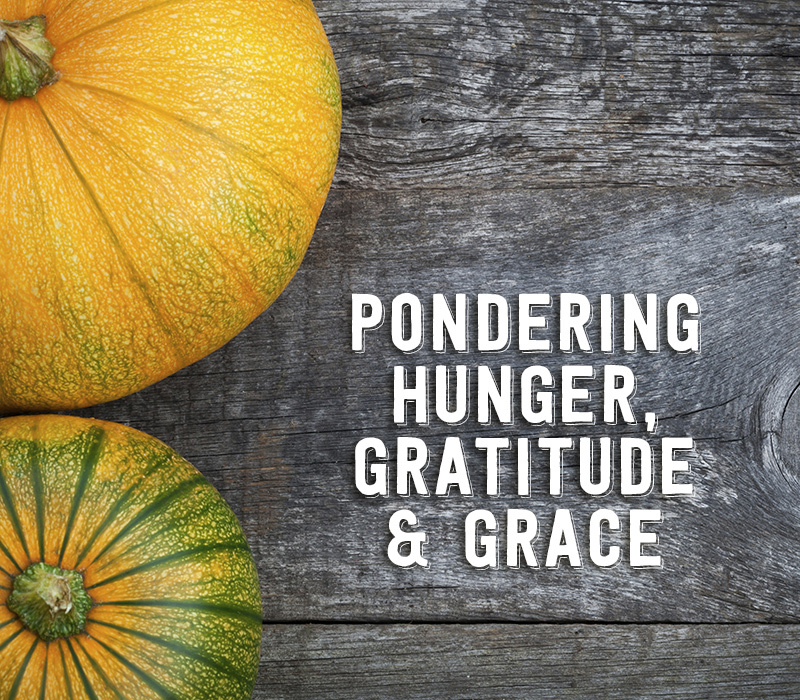 It seemed that two things facilitated the mental gymnastics required to both recognize the horror of meat production and savor the results: hunger and faith. Hard work on a farm in all degrees of weather made me ravenously hungry, and as Catholics, we gave thanks at every meal. Outside of (or perhaps at the fundamental heart of) our religious conviction, the saying of grace before eating was an opportunity to recognize our responsibility in the death-for-life exchange. Saying grace was the point where we began to build atonement in our lives beyond the instant hunger-gratification taking place at the table. The production of food is often a violent undertaking that goes well beyond meat production — and we all take part. Humans have irreversibly destroyed vast ecosystems to produce food, while the machinations of food production and the economies created have in turn exploited the human populations that all of these progresses are supposed to nourish. The very DNA of food is now being physically and chemically sliced, recombined and claimed in corporate labs. Not only is the production of food being violently controlled and exploited, but the genetic reproduction of food is being exploited and compromised as well. To a lesser, but no less brutal, degree, we partake in the violence of food production ourselves. Not only through our purchases, but when and how the food is prepared and consumed. We cut, chop, grind, skin, drown and immolate all forms of vegetable and animal life, from the respiring leaf of lettuce to the breathing and conscious bovine. We take life and render it into food; putting it into our bodies, we sublimate its existence into ours. We live because it dies. There is a continuum of moral and ethical-based dietary convictions corresponding to the varying degrees of conscious recognition of the brutality involved in food production. Consumers of food (life) are able to square their appetites to the levels of awareness that registers for them: vegan, vegetarian, flexitarian, pescatarian, omnivore, organic only, local only, GMO-free, etc. Placing the justifications and merits of any of these dietary systems aside though, it’s the framework that all of them are hung from that I find interesting. Humans possess a common ability to feed with a flexible notion of the conscious recognition of, and by extension, responsibility for, the life, in all its forms, that we consume. I’ve come to realize that the secret to enjoying food is both a matter of suspending feelings of remorse for at least some degree of the violence of its production and by owning up to the part I’ve played in the events that brought me my food. Amazingly, my flexible conscience lets the triggers of remorse exist right alongside the triggers of sensual enjoyment of food, and I’ve found that dichotomy to be fascinating all my life — most illuminated by my own convoluted and ever-evolving relationship with animals and meat. For myself, in the end, it’s not whether I’ve consumed a roast turkey or a stuffed squash, it’s recognizing that I’ve been able to do either because my conscience has been mutable, I’ve been hungry and, most importantly, that expressing gratitude for the life I consume helps me express more purpose in the life I live. How has your thinking about the food you eat changed throughout your life?